Marusya Bociurkiw’s Food Was Her Country is a sweet, concise memoir that uses food as an effective metaphor for connection and love. Bociurkiw is the daughter of Ukrainian immigrants whose connection to her culture and family is explored through her memoir’s defining thread: food. Her book applies a gentle, careful, and skillful touch to intense themes. Bociurkiw’s childhood household was chaotic with sisters and brothers. Her parents were careful to preserve their complicated Ukrainian heritage through language, family, and, of course, food. Over shared meals, Bociurkiw’s family is seen connecting again and again—as children become adults and leave the house, or as their parents brush with medical crises and death. Through it all, Bociurkiw lives a second, distanced life as a lesbian, separating parts of her life from the sight of her less-than-tolerant family. Throughout the memoir, recipes are shared that connect to Bociurkiw’s stories, including instructions on how to recreate the eggplant dish from her first failed dinner date and a cherished recipe from a friend who passed away too soon. 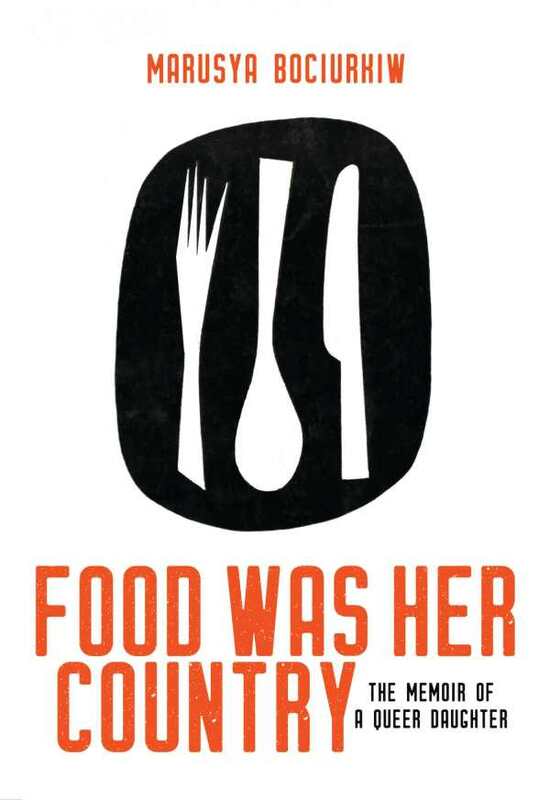 Food Was Her Country is a tenderly crafted story about complex relationships and histories. In it, lives come together across the dinner table, where meals—and more—are shared.